Aaahh… Breakout! 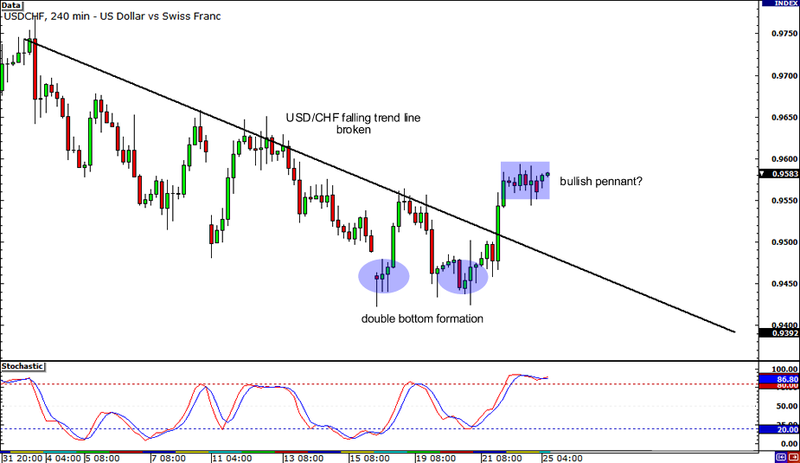 After making that double bottom formation last week, USD/CHF eventually broke above the neckline near .9550. Not only that, the pair also surged past the falling trend line, indicating that an uptrend could be in the works. However, it looks like dollar bulls needed a bit of a break as USD/CHF is consolidating in a bullish pennant just below the .9600 handle. If dollar bulls are able to garner enough energy, another upside breakout could be in the cards, but be careful because stochastic is already in the overbought zone! This setup’s for those of you who think the euro will continue working its way south! 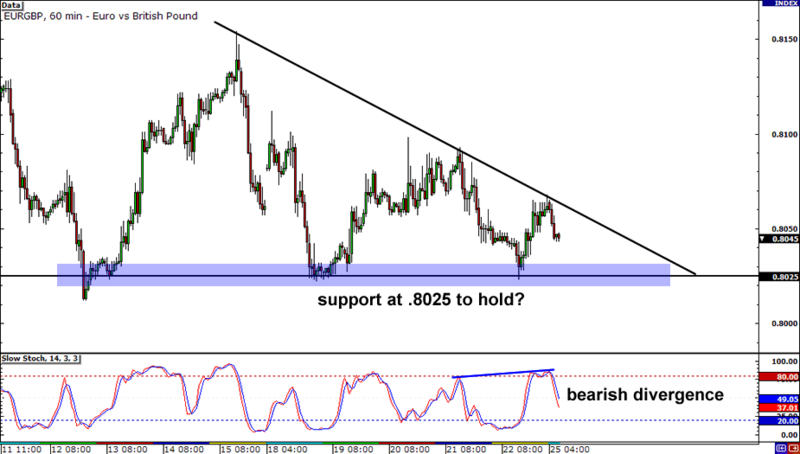 As you can see, EUR/GBP has formed a giant descending triangle just as Stochastic has formed a bearish divergence. Descending triangles tend to break to the downside, so y’all should get ready for action once price retests the .8025 support area. Euro bulls huddle up! 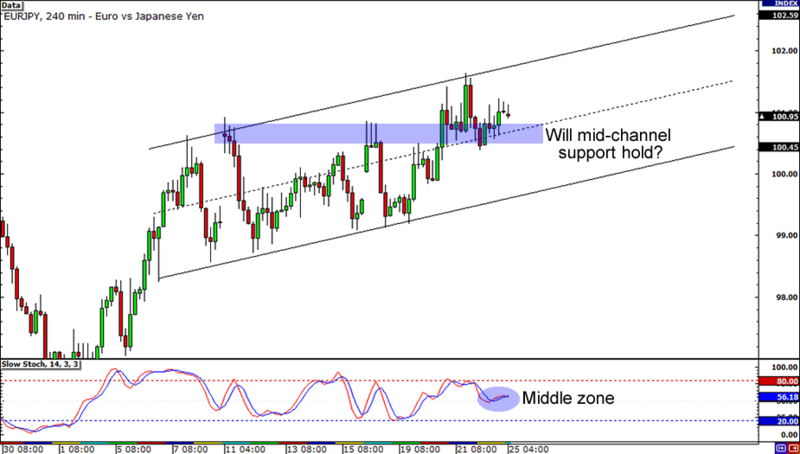 On EUR/JPY’s 4-hour chart is a sweet ascending channel that has been holding since the start of the month. Stochastic is in the middle zone though, so you might want to wait to see if the mid-channel support will hold. Will the pair drop to the support at the 100.00 area, or will it go on its merry way to 102.00?